The International Centre logo is a specifically drawn original piece of artwork that must never be altered, re-drawn or reconfigured in any way; nor should the logo be placed on busy, distracting backgrounds. Modifications or alterations in any way will undermine its effectiveness. Examples of the different logo variations (colour and one-colour versions) its reproduction requirements and downloadable versions may be found below. Clear space should always surround the logo so that other elements never collide with or detract from it. The minimum clear space is equal to the cap-height of the letters in the logo. The clear space guidelines outlined here apply to all logo versions. This includes stationery, brochures, printed ads, signage, merchandise and more. This includes online ads, websites, PowerPoint presentations and more. The corporate colour for The International Centre is Pantone® 2915. This colour should be used in all corporate communications (stationery program, advertising, brochures, website, etc.). Colours may appear different depending on the medium in which they are viewed. This is a combination of process (e.g. digital printing vs. conventional lithography) and substrate/medium (e.g. coated paper vs. uncoated paper vs. web/digital). Whenever possible, Pantone® colours should be used to reproduce The International Centre logo in print applications. If Pantone® colours are not available, the appropriate four-colour process (CMYk) version should be used. The chart below outlines Pantone®, CMYk, RGB and Hexadecimal formulations. NOTE: The standards used to determine colours are those of the Pantone® Matching System (PMS) in the current Pantone® colour guides. When printing this guide from a desktop printer, the colours shown here may not match the PMS standards due to calibration of your printer. Please refer to a Pantone® colour specifier for precise matching. The colour palette was specifically designed to allow for coloured type to read on black or white backgrounds, as well as black or white type reading on coloured backgrounds. The International Centre logo is available in both the two-colour and one-colour options, and in both positive and negative. The corporate logo should be used in all corporate communications including the stationery program, website, and more. The greyscale logo should be used when print quality is poor or full colour reproduction is not possible. 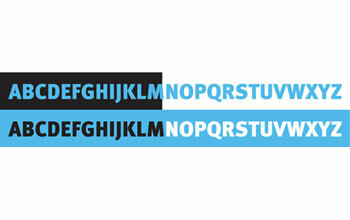 The International Centre logo is available in two versions – stacked and horizontal. The stacked logo is the primary logo and should be used whenever possible. The stacked logo should be used on The International Centre corporate marketing communications wherever possible, although in some cases, a horizontal logo will be more effective. Such instances could include banner signage, or complex layouts with minimal vertical space. For further direction on when to use this logo, please email us at marketing@internationalcentre.com. This is the primary version of logo and it should be used on applications with white backgrounds. For use on white backgrounds or when full colour reproduction is not possible. This version of the logo should only be used on black or very dark coloured backgrounds. For use on black or very dark coloured backgrounds. To download the complete Brand Guidelines, click here.